Once again, the Collie J. Nicholson Chapter has been approved to participate in North Texas Giving Day. We’re among 2,200+ organizations involved this year. We’re working towards making Grambling State University more visible in the North Texas area by providing scholarships, tuition assistance, taking students to visit the campus and most importantly, recruiting students. Today from 6:00 AM until midnight, your $25 (after processing fee) or more gift will help us receive extra funds for our work in the community. Every gift of $25 or more will go further with more than $2 million dollars in bonus funds and prizes! By visiting https://northtexasgivingday.org/, the online giving website for North Texas Giving Day, you can make a difference with you gift to the Collie J. Nicholson Chapter of Grambling University National Alumni Association (GUNAA). 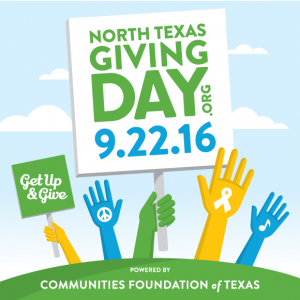 Here’s the really exciting part: Every gift made through NorthTexasGivingDay.org today helps our chances of winning prizes given throughout the day ranging from $500 to $5,000! With more than 80 total prizes being awarded throughout the day, our chances to maximize your gift are great! Just imagine if we could provide a four-year full ride scholarship to a student! All gifts you make to the Collie J. Nicholson Chapter of Grambling State University National Alumni Association on today will increase our impact by allowing us to grant $500 – $1,000 book and tuition scholarships, take students to visit the campus and attend a football game, and help students with tuition assistance (Gap Scholarship). Make your gift by visiting https://northtexasgivingday.org/npo/collie-j-nicholson-chapter-of-grambling-university! Make your donation at 11:01 AM (Grambling State University was founded on November 1st in 1901.) then talk to five family members, friends, co-workers, etc. about making a donation. With your help, we WILL reach our $5,000 fundraising goal on North Texas Giving Day! Follow us on Facebook (http://facebook.com/groups/97771212564), Twitter (https://twitter.com/) and Instagram so you can share in the excitement of the day of giving and remember to give!